Look what we have here, an old slim friend all in a new package. Yes, the rumours just might be true. 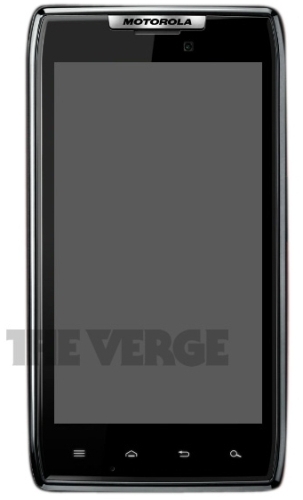 A new leaked handset by Motorola which is being called the Droid RAZR is expected to be announced soon. The handset is also being called as the Droid HD and the Spyder, but we mostly care about the specs now don’t we? The Droid RAZR is said to be made out of Kevlar and Gorilla glass with a 4.3-inch QHD Super AMOLED display, 4G LTE support, dual-core 1.2GHz processor, 1GB RAM, 8 megapixel camera with 1080p video recording and image stabilization and an HD front camera. If it does get the Droid badge it is gonna head towards Verizon, which means limited to the US network. We hope it does land in other countries as well because the Droid series is surely missed by fans outside the US. BlackBerry Bold 9790 and Curve 9380 arriving soon?